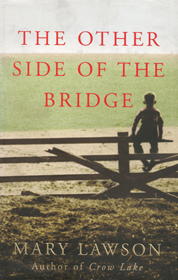 Growing up on a farm in Northern Ontario in the 1930s two brothers, Arthur and Jake Dunn, are polar opposites. Arthur, the elder of the two, is shy, solid, and dutiful. Jake, five years younger, is smarter, better looking – and big trouble, especially where Arthur is concerned. 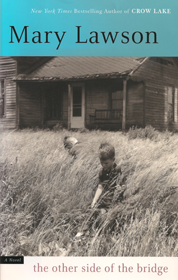 Throughout their childhoods, everything Arthur has, Jake has to have too. When a young woman, Laura March, arrives in the community Arthur falls in love so hard he hurts all over for a week. And Jake just can’t resist stepping in. Maybe things would have worked out with no blood spilled, and no harm done, if Ian Christopherson, the naive and idealistic son of the local doctor, hadn’t taken a summer job on the farm. But he did take the job, and all unknowing, Ian was the fuse that would ignite the powder keg of emotions around him. 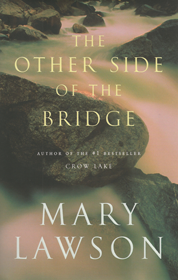 Set against the background of the Second World War, The Other Side of the Bridge is a tale of age-old sibling rivalry and the terrifying consequences of innocence betrayed.